Our birthstone pendant has a single gemstone at its heart. 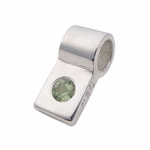 It's set in a tapered silver slide pendant. That taper lets several birthstone pendants sit gracefully side by side, creating an even more striking necklace. Perhaps one birthstone for each child? 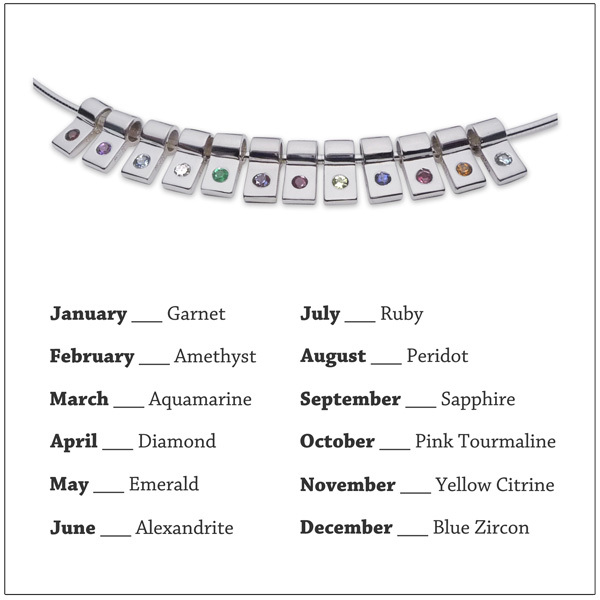 Just pick your month or favorite stone from our pull down menu. This pendant will slide onto an existing sterling silver omega chain.